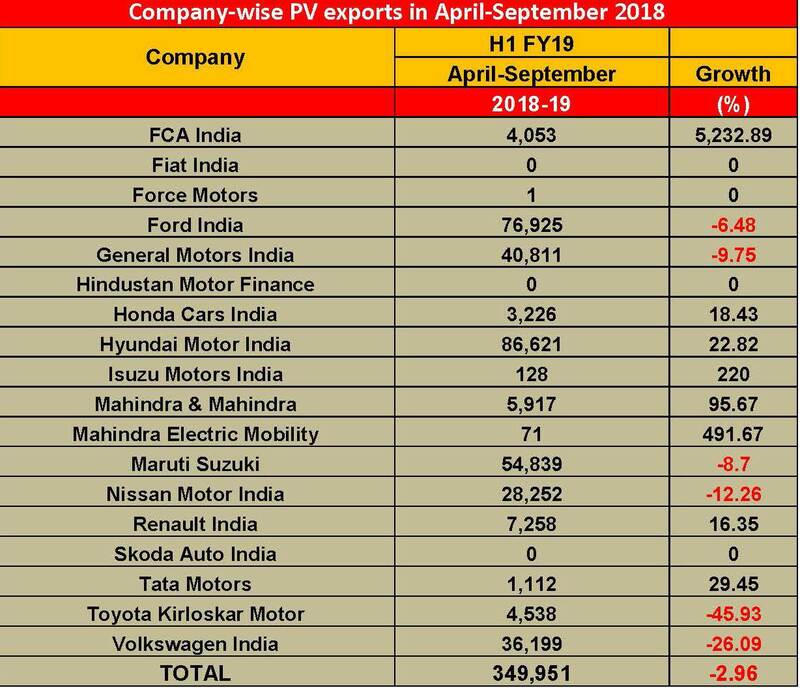 If the passenger vehicle (PV) numbers in the domestic market in the first six months of FY2019 (April-September 2018) indicate a slowing of sales, then PV exports for the same period are a tad worrying, what with the implementation of the GST regime in July 2017 having brought a slew of technical challenges, leading to a substantial cash-block in the form of the input tax credit not being refunded to the OEMs. What aggravated the situation further in FY2019, according to apex body SIAM, has been the challenging environment of tough trade barriers, as well as country policies favouring CKD assembly over CBU imports. The current situation is rather grim, with overall shipments touching 349,951 units between April and September 2018, marking de-growth of 2.96 percent (April-September 2017: 362,092 / -1.92%). While most Indian PV manufacturers have been hit hard by the slowdown, No. 2 domestic player Hyundai Motor India, which also ranked as the second largest PV exporter in FY2018, has seen its exports reach 86,821 units in the first half of the fiscal and register a growth of 22.82 percent, despite a tight market situation. The company has performed significantly well when compared to last year, where its shipments were pegged at 70,525 units (-19.40%) during the same period. 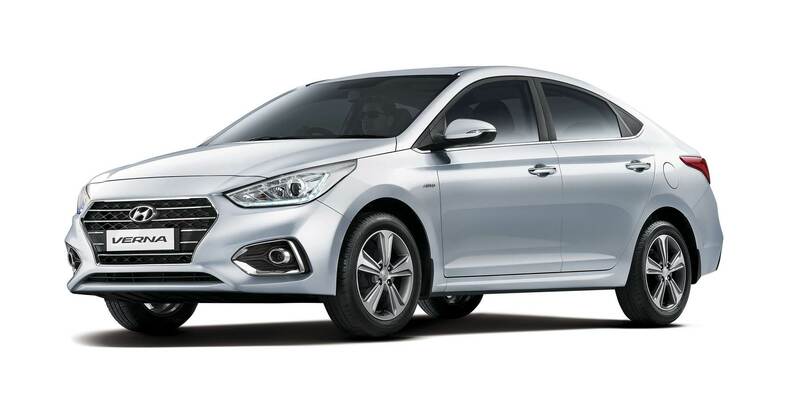 Contributing majorly to its exports is the Verna sedan, which, while being sold on the Accent nameplate in the Middle East, is also shipped to South Africa, Gulf and other neighbouring Asian countries as well. Taking the second position, Ford India saw its exports clock 76,925 units, with an overall de-growth of 6.48 percent between April and September, where the company was leading as the No. 1 exporter in the same period last year with shipments going as high as 82,347 units (+11.55%), fuelled majorly by its Ka / Ka+ hatchbacks, Aspire sedan and the popular global best-seller, the EcoSport compact crossover, all going to over 50 countries across Europe, Middle-East, Sub-Saharan Africa, Asia, and to emerging markets in North America as well as in Australia . While Maruti Suzuki India emerges as the No. 3 exporter in H1 of FY2019, its shipments clocked 54,839 units, albeit declining 8.70 percent (April-September 2017: 60,063 / -0.77%). The company exports its Baleno hatchback to Europe as well as to parent Suzuki Motor Corp in Japan and also ships the new Swift hatchback from its Gujarat plant. Among other players, which are surviving majorly on exports, GM India slumped 9.75 percent with overall shipments of 40,811 units. Nissan Motor India de-grew by 12.26 percent with shipments of 28,252 units. On the other hand, its Alliance partner Renault India registered a 16.35 percent uptick in its export performance, shipping 7,258 units. Meanwhile, Volkswagen India saw its exports fall by 26 percent to 36,199 units in H1 FY2019. At halfway stage in FY2019, Hyundai leads all by a significant margin and stands a good chance of being the No. 1 export leader in the fiscal. But will Ford India, the No. 1 car exporter in FY2018 who wrested the title from the Korean carmaker, let that happen? Watch this space.